It’s been a great year for hockey at Colfe’s. 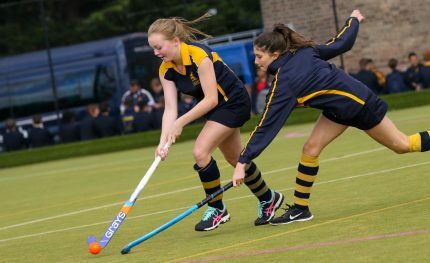 As well as increased participation, more teams and more success in school fixtures, we also have record numbers of girls taking part in hockey outside of school, at clubs and in the England Pathway. 12 pupils were selected for the Junior Development Centres, with eight of those being selected for trials for the Kent squads. One of these pupils, Lily (Y11), has been taking part in the Kent Hockey County Academy since September and has now been selected for the U16 County Side. The squad of 20 players will play four matches against, Middlesex & Hampshire, Surrey, Berkshire and Buckinghamshire over the coming two months.